We are celebrating winning the bfa HSBC Award for Innovation at the annual Franchisor of the Year Awards! We won the award for innovation after showcasing a series of changes to how we look after our customers: new techniques, products, markets and app-based information tools all mean customers have access to products and information whenever and however they need it. Since Chemex was founded almost 30 years ago we have supplied quality hygiene and infection control products through a customer focused approach, delivering outstanding value for money. 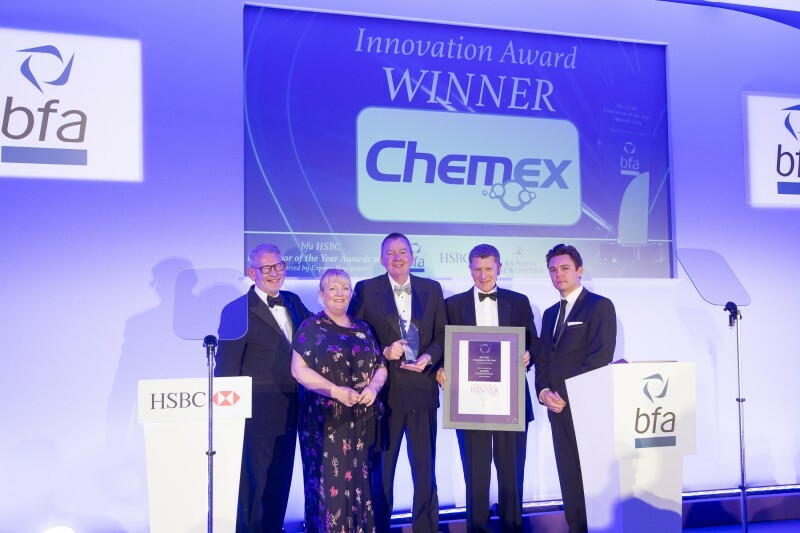 But now we are being recognised as leader in innovation too; there were 20 finalists and the innovation award was whittled down to three: Chemex, McDonalds Restaurants and O2. To win against two such brands is quite something considering we operate in an industry not renowned for innovation!